Cold Pursuit is a 2019 Action Drama Thriller movie directed by . It stars Liam Neeson, Tom Bateman, Tom Jackson, among others. 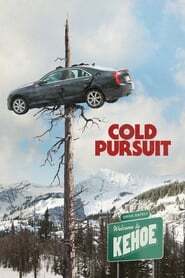 Cold Pursuit is currently rated 5.2 stars on the ReelBugs scale. "Meet Nels Coxman. Citizen of the Year." I don't think I'll ever be tired of Liam Neeson movies. How many times is he going to get revenge after someone kidnapped or killed a member of his Family? ... Well I don't care because he does it well! 👍 Can't wait to see this! I will find you. I will make popcorn. And I will watch you. “Taken” on a “cold pursuit” through “the grey”, he’ll “run all night” “non stop” because he’s “the commuter”. SJW and snowflakes can get fooked. "I have a particular unique set of coshes". 91% on rotten tomatoes right now. Looking good! Liam Neeson, toxic masculinity how it's supposed to be! Our new hero for we, the common man. We sure need another role model for young men because Clint can't make movies forever. We love ya' Liam, keep making us proud! If Liam Neeson (Taken) works together on a movie with Keanu Reeves (John Wick) where they team up together fighting bad guys, all hell will break loose. I would trade anything to watch a movie about them together. Based. I'm gonna watch it now. Liam Neeson won't stop making revenge movies until he's made one with every form of vehicle imaginable. Before you know it he'll do a revenge movie on a unicycle. Liam Neeson is the best! Hope he does a movie with Keanu Reeves. I'll watch any movie he's in. Love his action ones! Now Fiona is police officer?